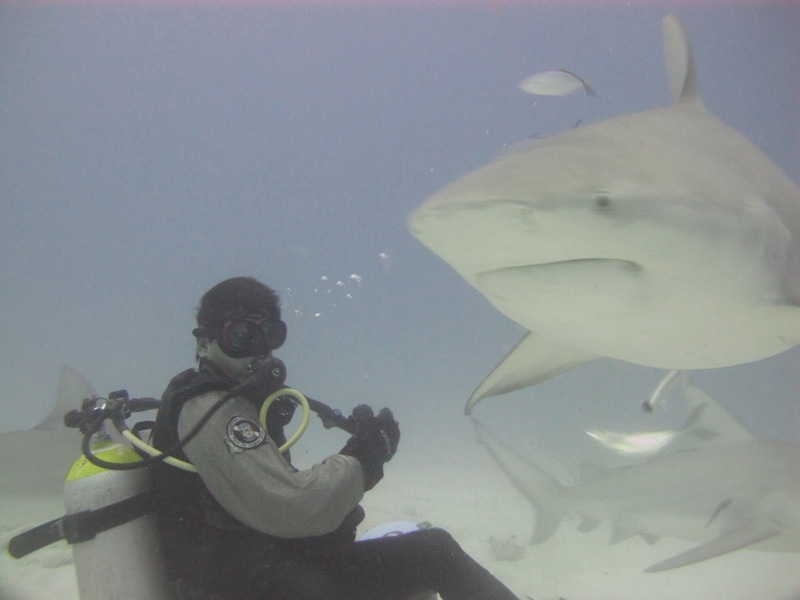 Phantom Divers is the pioneer in bull shark diving in the Mexican Caribbean. 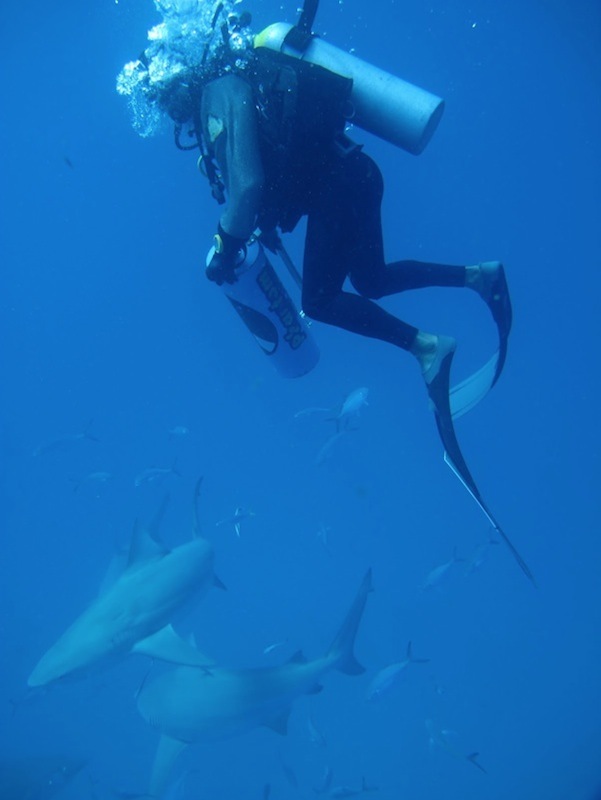 We have been developing our own technique and learning from different shark dive operators around the globe since 1997 to make this a safe, educational and enjoyable dive. Phantom Divers also collaborates with different national and international NGO’s for the study and protection of the sharks in the area. 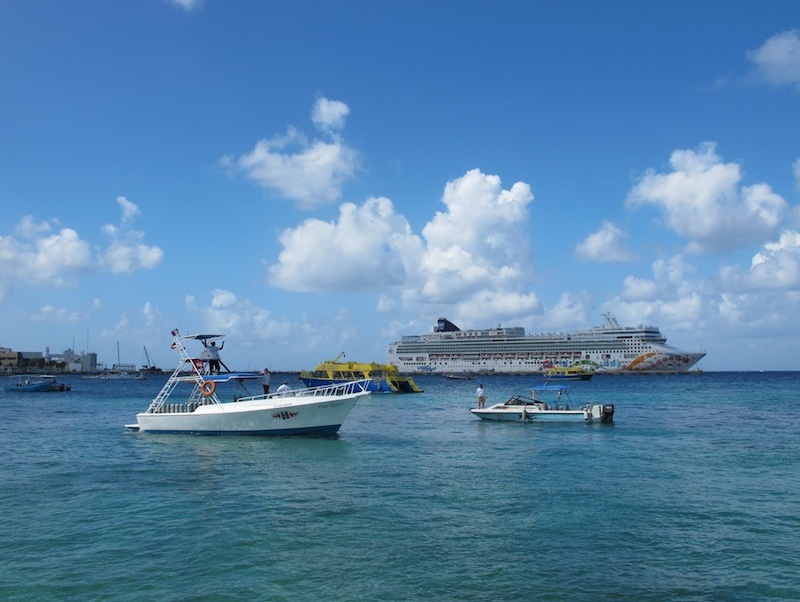 We are currently working on the creation of a shark sanctuary on the Caribbean coast of Mexico. At the moment we are participating in a shark telemetry project to help retrieve data in order to create this shark sanctuary. By signing up with Phantom Divers, in PADI’s distinctive specialty Shark Observer (cost of this PADI certification: 60 usd), you will also be supporting this project and the care of the marine ecosystem. * Divers are not allowed to touch or feed the sharks. 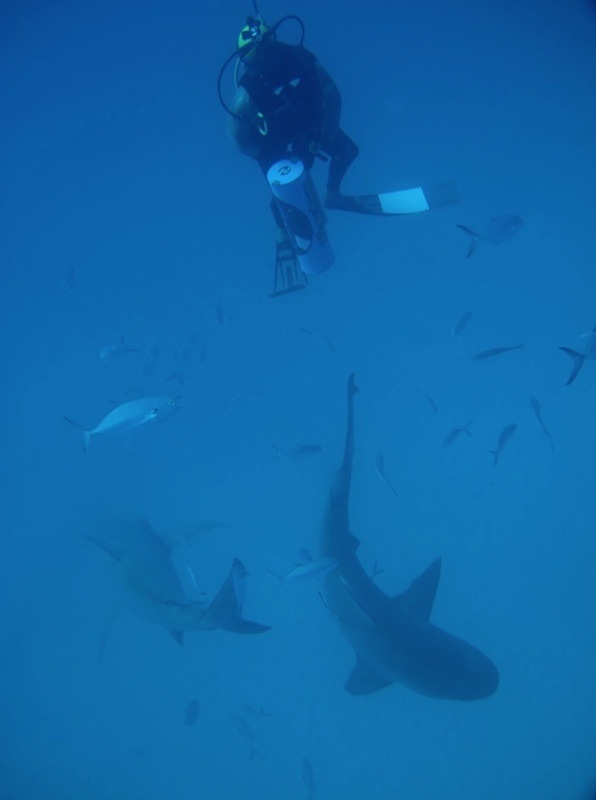 BULL SHARK DIVING is an adventure you will never forget! 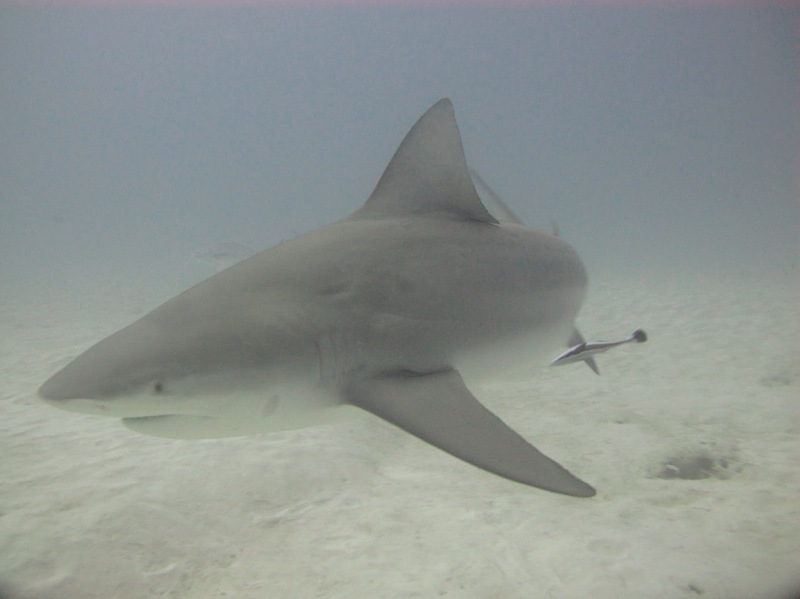 Bull sharks usually come to Playa del Carmen from November until end of March. This dive takes place in a sandy bottom area at the depth of 60 ft., we drift dive for 45 minutes close to the area where we feed the sharks. 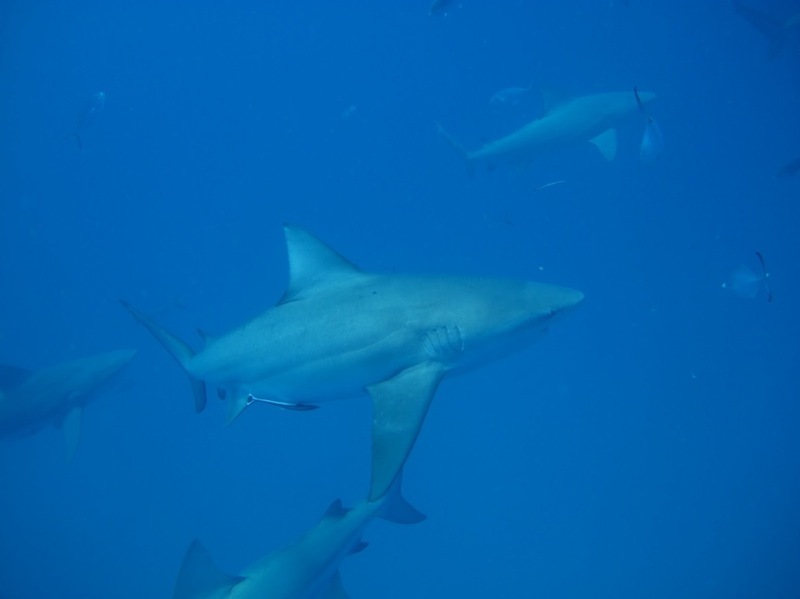 We do not use any type of bait or attractant on this dive, you will see sharks in their natural environment and you will have the opportunity to take pictures and be close to the sharks. We will be diving with the bull sharks at 80 ft., this is a static dive where you will have to stay in your assigned place. So if you’re up for this high-octane adventure, check it out and join us on this trip of a lifetime! Bull sharks are very large sharks, they are not shy and do make close passes by the divers. This is a normal behaviour for them, but if you’re not ready for it, it will be a gut check. We do use fish to bring the sharks in close, which sometimes causes the sharks to get excited. Their position in the food chain is vital for the health of the ecosystem. The more we learn about these animals the more we can enjoy and care for them. - Advanced divers with more than 30 logged dives (if you don’t comply with this you can do a check-out dive previous to the shark dive so the instructor can evaluate your diving skills). It is important that you conduct yourself as a good diver and follow the plan for your and the rest of the group’s safety. Price: 140 usd (in case we do not see any sharks you get a 50% refund). Shark diving !! 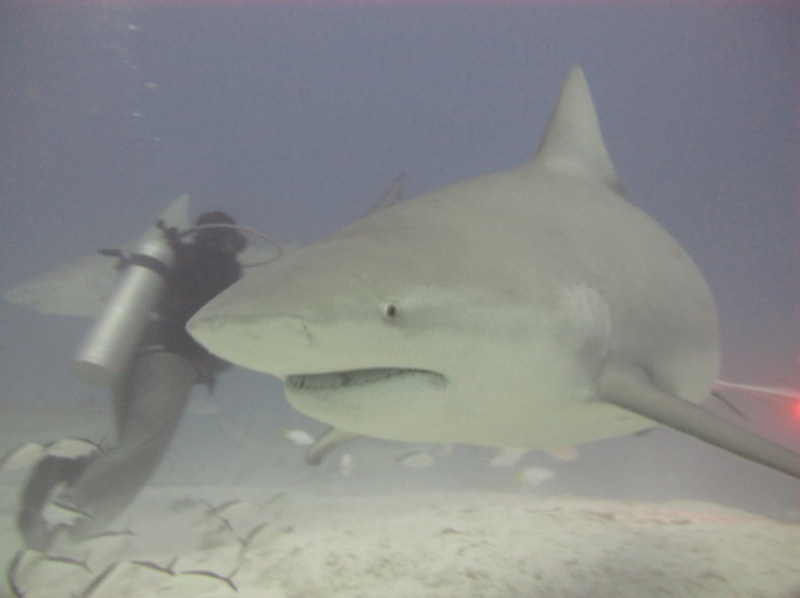 Get up close and personal with Playa del Carmen ́s bull sharks!! The sharks have inhabited the planet since 400 million years ago, these unpredictable animals have always generated fear because of the little and scattered information available. Bull sharks are recognized by the following characteristics: in the middle part of the body are wider than other sharks, they are grey on top and white on the bottom, have 2 dorsal fins, the front one larger. The nose is wide and round, not pointed like other sharks, they reach up to 2.5 meters and weigh up to 250 kg, females are larger than males. They are viviparous (embryos develop in the placenta), in the Playa del Carmen area sharks aree born at the end of the spring and early summer. Gestation time is 11 or 12 months, and sharks come to have from 1 to 13 babies. The size at birth varies between 60 and 80 cm in length. Sharks become sexually mature between 10 and 15 years. They manage to live an average of 32 years. • Vision: they have a poor sense of sight, but they can feel movements of shadow and light. Even in the night. • Hearing: Hearing is acute, they can perceive low frequency sounds and determine the direction where it comes from. • Olfaction: They can perceive the presence of small quantities of certain substances such as blood of other fish and determine its origin. • Touch: Sharks impact objects with the nose to determine whether they are edible or not. • Taste: Sharks have taste cells in the mouth and throat that allows them to discern between the edible and inedible. • Electroreceptors: (Lorenzini ampoules) They come along from the brain tthough all the body in a lateral line, which serves to capture waves and vibrations over great distances. Like a fish that do not swim well or are injured. The more knowledge we have of these animals the more we can be in harmony with them and stop destroing them. Recently shark populations has decreased, sharks are caught only to cut off their fins and then thrown into the sea in order to use this part of their body as exotic food. Beyond our fears, each time we become more aware that the human being is not part of the shark´s diet. A bad reputation of killers has been created around sharks, however we have witnesed in our recent experiences, a behavior in which the shark interacts with us, being an interesting and surprisingly harmless species. Bull Sharks have been classified among the three most dangerous shark species (white, Tiger and Bull. However it is important to understand that most of the attacks that have been attributed to the bull shark, apparently, have occurred in shallow waters with poor visibility. For example: the mouths of rivers, lagoons and estuaries. These attacks have been partial and are considered more a confusion that a purpose of power. The statistics allow us to deduce that more people are killed by the impact of a lightning strike than by interaction with sharks (Rio de Janeiro-a total of 75 Brazilians died victims of lightning in 2008). According to the international shark attack files, there are recorded about 70 attacks per year of which 15 to 20 are fatal. In what it refers to divers; There have been a total of 243 attacks since 1580 of which only 36 were fatal. It is estimated that an average of 100 million sharks are killed each year: therefore human being becomes the main and biggest threat to this species. We are fortunate to have them here in Playa del Carmen year after year; to be able to observe them, learn from them and keep a record of their behavior in order to help in their preservation for future generations. HELP US TO CARE FOR THEM!